Karin Orenstein became Settlement Music School’s Director of Education in January 2017. Prior to her role as Director of Education, Karin was the Director of Settlement’s Wynnefield Branch for five years. 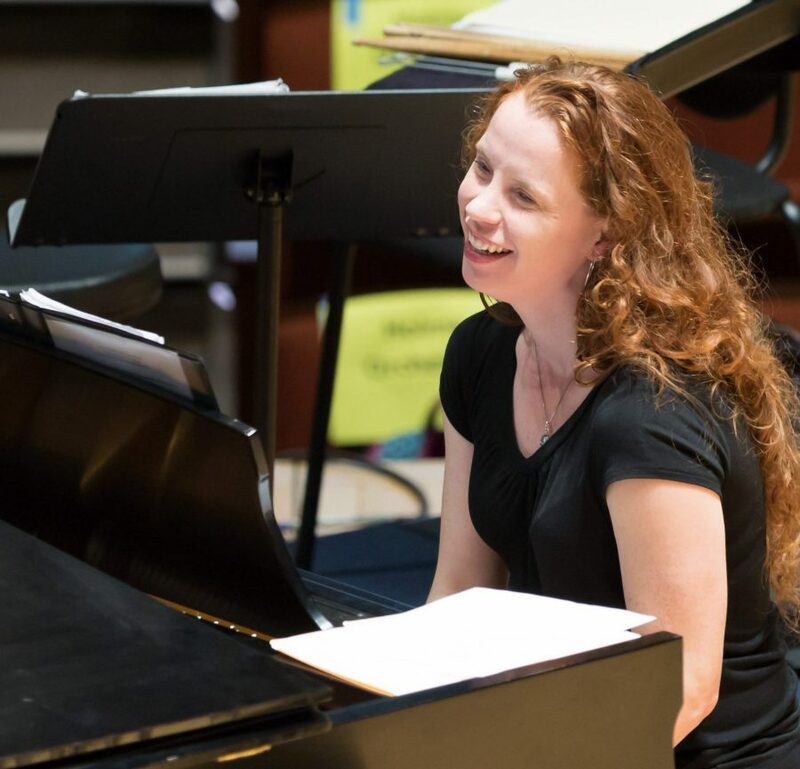 During that time she grew student enrollment and community partnerships through the development of ensembles and classes with a special focus on jazz, choral, chamber music and early childhood programming. Prior to joining Settlement, Karin held teaching positions at George Washington University, Towson University and Jack M. Barrack Hebrew Academy. She holds a Masters and Doctorate of Music in Piano Pedagogy from The Catholic University of America where she studied with Thomas Mastroianni and Marylyn Neeley, and a Bachelor of Music in Piano Pedagogy from Shenandoah Conservatory under the tutelage of Karen Walker. At Settlement, we create customized learning pathways to achieve the goals of our students. Our faculty is deeply committed to the importance of diversity, equity and inclusion, and understands the importance of student motivation and the power of mentoring. Settlement Music School has the highest level of accreditation from ACCPAS and is dedicated to providing exceptional arts education for all. For a sampling of various levels of our curricula for different instruments, please see the links below. Certification is the process by which Settlement Music School recognizes and acknowledges student achievement and progress. Settlement Music School’s Kaleidoscope Program has been proven, through rigorous research by West Chester University, to prepare children for kindergarten more successfully than peer Pre-K programs without intensive arts-based programs. Our students have shown an increased ability to manage emotions and greater receptive vocabulary than those at comparison preschools. Conducted by Dr. Eleanor D. Brown, Professor of Psychology, and students at West Chester University. Kaleidoscope students practiced school readiness skills through early learning, music, creative movement, and visual arts classes. Students who attended the preschool for 2 years demonstrated higher achievement than those who attended for 1 year, suggesting that maturation alone did not account for achievement gains. Kaleidoscope students were also compared to those attending a nearby alternative on a measure of receptive vocabulary that has been found to predict school success. At the end of 1 year of attendance, students in the arts program showed greater receptive vocabulary than those at the comparison preschool. 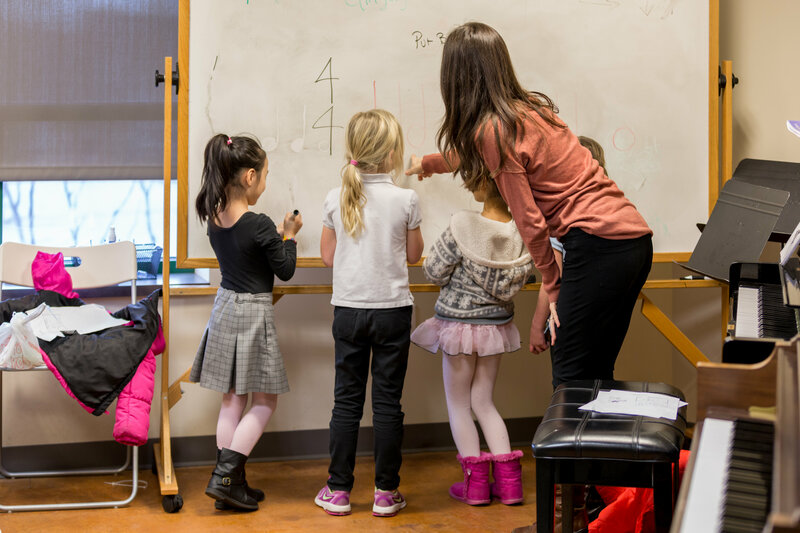 Kaleidoscope students showed greater observed positive emotions such as interest, happiness, and pride, in music, dance, and visual arts classes, as compared to traditional early learning classes. Second, children at Kaleidoscope showed greater observed positive emotions than peers attending a comparison preschool that did not include full integration of the arts. Third, across the school year, children at Kaleidoscope showed greater growth in teacher-rated levels of positive and negative emotion regulation. Kaleidoscope students showed decreased levels of cortisol – a stress-indicating hormone, often correlated with economically-disadvantaged backgrounds – following classes in music, dance and visual arts when compared with regular classroom instruction. The results indicate that the arts have the ability to “get under the skin” of participants and that integrating the arts could enhance the effectiveness of other Head Start-based programs. Children in Kaleidoscope showed greater gains in school readiness compared to their peers in a Head Start program that didn’t include arts classes. Findings suggest that the arts can add value to Head Start preschool and can be a vehicle for equalizing educational opportunities for young, economically disadvantaged children. Learn more about Settlement’s Kaleidoscope Preschool Arts Enrichment Program.